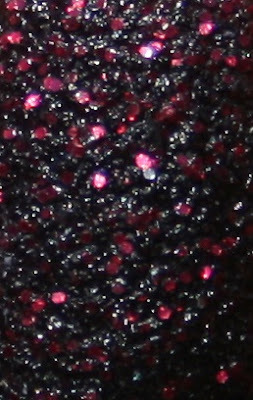 Today I have another one of OPI's Liquid Sand shades to show you. 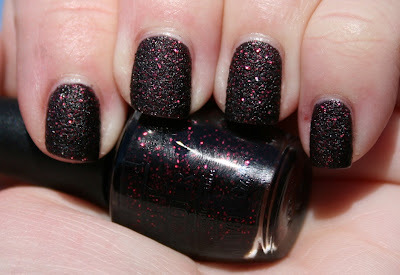 One of OPI's latest innovations is "Liquid Sand", which is basically a matte, textured glitter meant to be worn without topcoat. 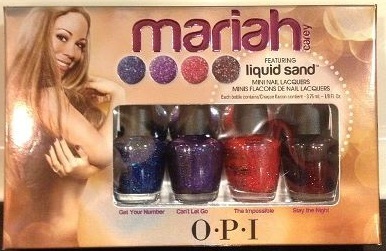 There are four shades of liquid sand released as part of the Mariah Carey collection. I picked up the mini set at Ulta to check what I thought. This is matte black with shiny pink glitter. 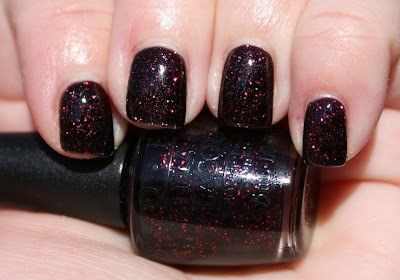 Definitely my favorite of the set so far (I still have The Impossible left to swatch). 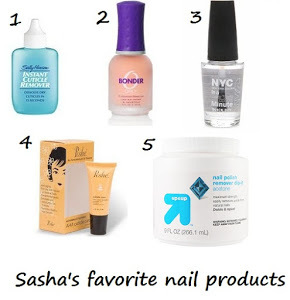 I wore the shade with no topcoat for 24 hours and again got no chipping and minimal tipwear. I actually think I love it even more with topcoat- it's absolutely glowing! This shade was a bit harder to remove, and I actually probably should have just used the foil or Reesa method. I used my scrubby tub and had to scrub quite a bit on each finger- it probably took me at least twice as long to remove as the purple and blues liquid sand shades did. 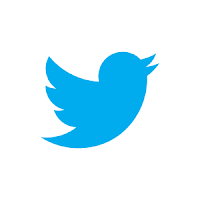 Come back tomorrow for swatches of The Impossible!